REKON shooting tripods combine precision engineering, innovative design, and value in support of hunters, precision shooters, military & law enforcement, and photographers. The REKON Carbon Fiber CT-1 Tripod features several key improvements over "adapted for use photography tripods". 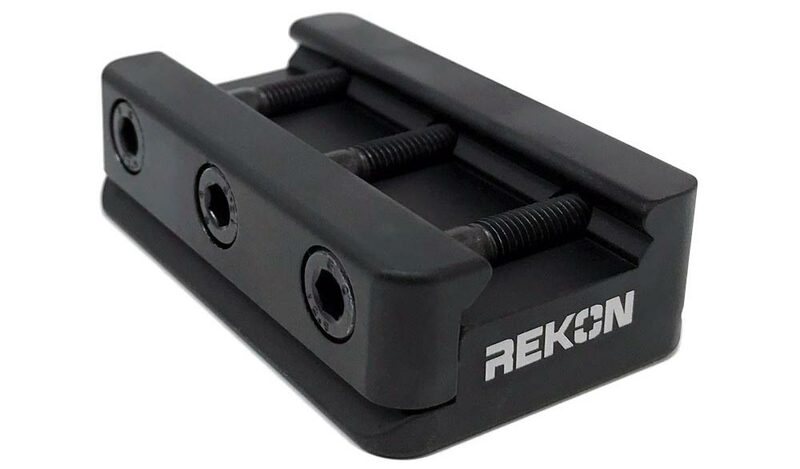 The NEW REKON CT-1 incorporates unique heavy recoil resistant precision aluminum magnesium alloy transition assembly with REKON's proprietary designed reinforcements to critical leg attachment stress areas and leg latch mechanisms. 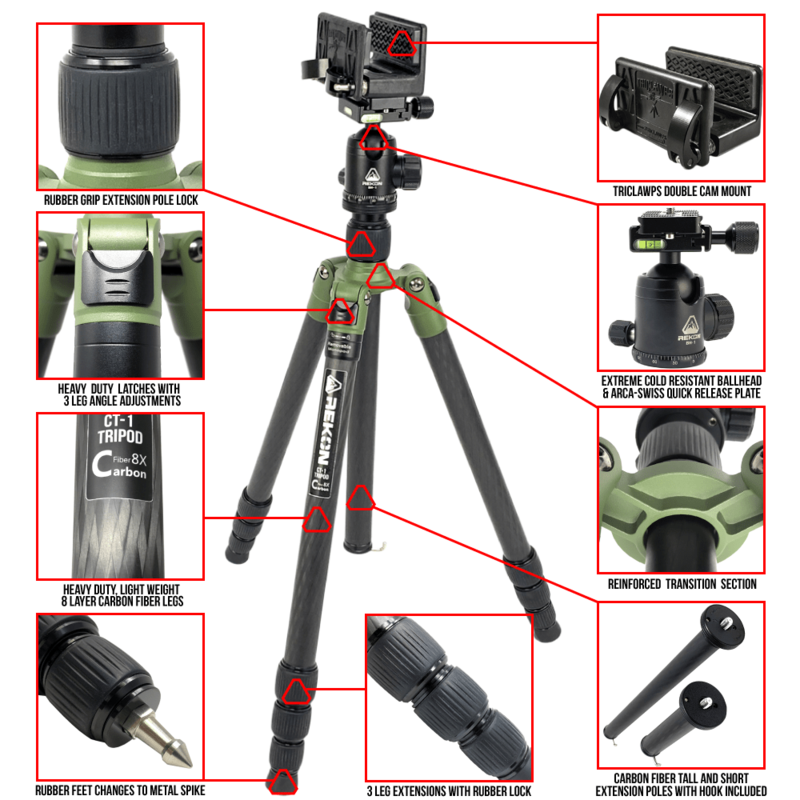 Additionally, by utilizing the included short Center Axis shaft the REKON CT-1 tripod can be optimized for shooting in the prone position or from shooting benches with tripod legs fully retracted and leg angle rotated out to furthest angle detent. The short center axis shaft provides for 2.25 inches of elevation adjustment while shooting prone or bench positions. 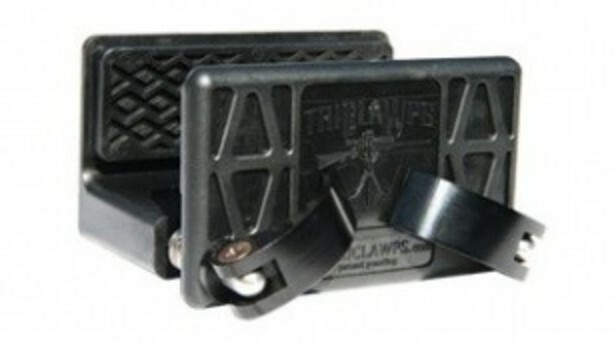 Ticlawps features glass-reinforced, hi-density injected resin construction, this allows us to cut the weight and the cost in half, yet offer the same rigidity and stability as aluminum saddles. It's cutting edge and it's just better, Period! The Double Cam Saddle is particularly suited for shooters who will leave the saddle fixed to their weapon. Once the cam levers flip, they are solid. By leaving it attached to your rifle, you're able to quickly get into and out of the tripod to make a shot when time is running out. The standard 1/4" 20 threading ensures your system will work on just about any camera tripod. Triclawps comes with a lifetime, no fault, no questions asked warranty.